In a study just released by the Journal of Emergency Medicine, Fred Mirarchi, D.O. and colleagues reveal disturbing facts about the misinterpretation of living wills by health professionals. The study examines the difference between a DNR – Do Not Resuscitate – order and a living will in the mind of healthcare professionals. Approximately 750 physicians who practice primary care, internal medicine, and emergency medicine were surveyed. The study showed that 78 percent of these physicians misinterpreted the living will as a DNR order and 64 percent misinterpreted a DNR order as comfort care/end of life care, when in fact, the patient wanted aggressive care unless terminally ill. 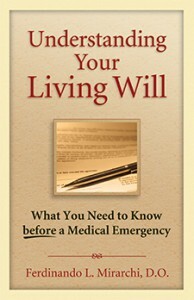 According to Dr. Mirarchi, “Because of misunderstanding and misinterpretation of living wills, there is a clear and present danger to patient safety nationwide for both the healthy and critically ill population.” Dr. Mirarchi is also the author of Understanding Your Living Will. The Consumer Connection, a publication of the America Medical Library Association, has released book reviews on two new Addicus Books titles. 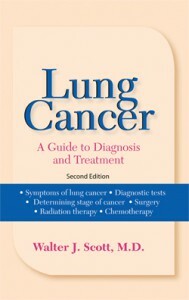 In a review of Lung Cancer: A Guide to Diagnosis and Treatment (2nd ed. 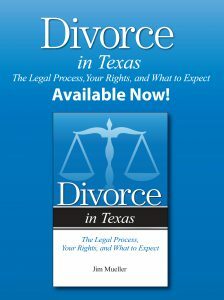 ), the journal said, “Walter Scott, M.D., delivers a must-have resource for patients and their family members. This book is highly recommended. It’s easy to read and the medical terms are defined. 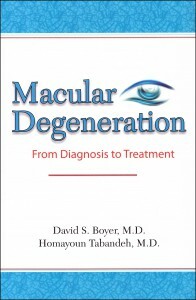 The new title, Macular Degeneration—From Diagnosis to Treatment, is a Spring 2012 release from Addicus Books. The book covers how the eye disease develops, how it is diagnosed, and how it is treated. The authors, David Boyer, MD, and Homayoun Tabandeh, MD, are retina specialists with the Retina-Vitreous Associates Medical Group in Los Angeles. 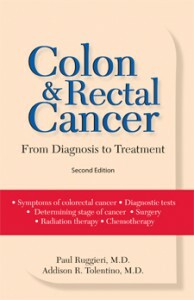 Paul Ruggieri, M.D., coauthor of Colon and Rectal Cancer, has donated several hundred copies of the book to the Colon Cancer Alliance. Based in Washington, D.C., the Colon Cancer Alliance is the oldest and largest national patient advocacy organization dedicated to ending the suffering caused by colorectal cancer. 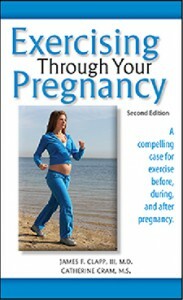 A second edition of Exercising through Your Pregnancy will be released in the Spring 2012. Addicus Books first published the book in 2001. The author, James Clapp, M.D., is one of the nation’s foremost experts on prenatal fitness. Joining as co-author is Catherine Cram, M.S., director of Comprehensive Fitness Consulting, LLC. The company provides prenatal and postpartum fitness certification training for maternal healthcare providers, fitness professionals, and military medical staff. Ms. Cram is also author of Fit Pregnancy for Dummies (Wiley 2004). She is frequently a featured speaker at conferences for medical, fitness, and material healthcare professionals. 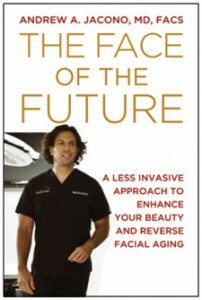 In the Fall of 2012, Addicus Books will publish The Face of the Future—A Less Invasive Approach to Enhance Your Beauty and Reverse Facial Aging, by Andrew Jacono, MD, a facial plastic surgeon in New York. The book discusses minimally invasive cosmetic surgery procedures. Dr. Jacono is also featured in the television series, Facing Trauma, which airs on the Oprah Winfrey Network (OWN). The program shows Dr. Jacono performing pro bono cosmetic facial surgery on disadvantaged individuals in foreign countries. 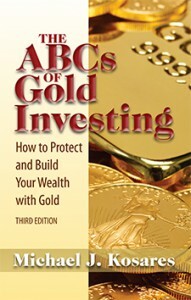 Mike Kosares is the author of The ABCs of Gold Investing, 3rd edition, which will be released in the Fall. The first edition was published in 1997, and the book has been a category leader in sales of books on gold investing. Addicus Books will had more consumer health books to its list in the Spring 2013. 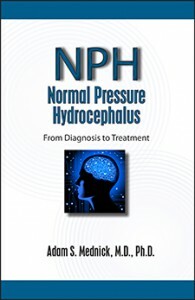 Normal Pressure Hydrocephalus—From Diagnosis to Treatment, is authored by Connecticut neurologist Adam Mednick, M.D. Normal pressure hydrocephalus (NPH) is a misunderstood and underdiagnosed disease that occurs when too much cerebrospinal fluid builds up in the brain. The symptoms of the disease include: unsteadiness, incontinence, and mild dementia. NPH is often misdiagnosed as Parkinson’s disease or Alzheimer’s disease. 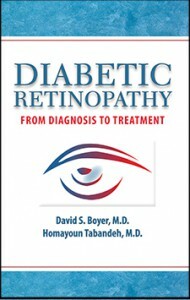 Another Spring book, Diabetic Retinopathy—From Diagnosis to Treatment, is written by retina specialists, David Boyer, M.D., and Homayoun Tabandeh, M.D. Diabetic retinopathy is a complication resulting from long-term diabetes. 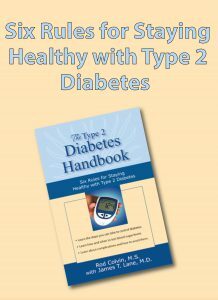 Experts say most people who have had diabetes for thirty years or more are most likely to get the disease. 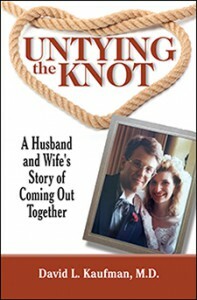 Addicus Books will launch Untying the Knot—A Husband and Wife’s Story of Coming Out Together. In this memoir, David Kaufman, M.D. tells the story of how both he and his wife discovered they were both gay and shares their coming out journey together. Also, in the Fall, Addicus Books will release a second edition of Exercising through Your Pregnancy by James Clapp, MD, and Catherine Cram, MS. The book covers exercising—before, during, after pregnancy, and is frequently used as a resource in educating trainers who specialize in maternal fitness.